For job shop owners and manufacturing supervisors, there are many advantages to attending IMTS next month. If you bring your employees, their knowledge base will be broadened. Comparing products, researching options, and connecting with vendor companies take time, sometimes weeks or months. With 2,400 exhibitors, the concentration of resources and information available at IMTS can shrink that timeline down to a single day. The IMTS will be held September 10 - 15, 2018 at the McCormick Place in Chicago. Sponsored by The Association for Manufacturing Technology, this exhibit highlights the digital manufacturing revolution in action and how businesses in aerospace, automotive, medical and energy sectors are implementing cutting-edge innovations. You don’t want to miss the AMT Additive Manufacturing ETC, West Building, Level 3, Booth #431609 where visitors will experience demonstrations of the newest breakthroughs in materials, speeds, and technologies in 3D printing. This will include the Die-in-a-Day Scavenger Hunt, led by Oak Ridge National Laboratory, which will take participants through the process of creating an additively manufactured tool, from design and prototype production to final inspection. You can take a ride in Olli, a self-driving, digitally manufactured, 3D-printed, electric vehicle by Local Motors that will shuttle visitors between level three of the East and North buildings. Modern Machine Shop Top Shops, North Building, Level 3, Booth 236600 features profiles of machine shop innovators. The Top Shops booth is the place focused on showing you what the best shops and plants in our industry do to stay competitive, innovative, and profitable. In today’s Technology Center, North Building, Level 3, Booth #236900, GIE Media presents the end results of the latest manufacturing technology in the motor vehicle, aerospace, and medical industries. Lightweight materials and integrated safety systems underpin the 2018 Jeep Wrangler and the 2019 Ram 1500; advanced machining make state-of-the-art medical implants possible; you can also view and explore the cabin of ONE Aviation’s Eclipse 550 Very Light Jet in a full-size fuselage mockup. Smart Manufacturing Hub, North Building, Level 3, Booth 236800 connects with the leading thinkers and doers in the manufacturing industry. The Smart Manufacturing Hub will feature hourly presentations on the most advanced and innovative solutions in the manufacturing industry. Now, with connectivity, controls, process integration and automation, job shops and manufacturers can harness more uptime from their CNCs. Visit more than 350 companies in the Metal Cutting Pavilion to find out how to gain relevant information to better manage assets and drive up overall equipment effectiveness. Exhibitors will demonstrate machine monitoring, collaborations between CNC and automation providers, process integration to create multi-tasking machines, and powerful software and user-friendly CNC controls. IMTS will provide the answers you need. 93% of attendees find new products or ideas to use; 86% find specific solutions to manufacturing problems; 89% visit booths of companies not currently calling on them; and 64% make new business contacts. Shouldn’t you be one of these? Check out 3D Systems located in the East Building, Level 3, Controls & CAD-CAM Booth 133310. 3D Systems software delivers the power to take you from prototyping through to 3D production: Geomagic® 3D scan and inspection software; GibbsCAM® CNC programming solutions; Cimatron® mold and die design; DICOM-to-print (D2P™) CT scan processing solutions, DfAM manufacturing software with 3D Sprint™ and 3DXpert™ to deliver perfect parts, every time. They are also located in the West Building, Level 3 and annex, Additive Manufacturing, booth 431608. 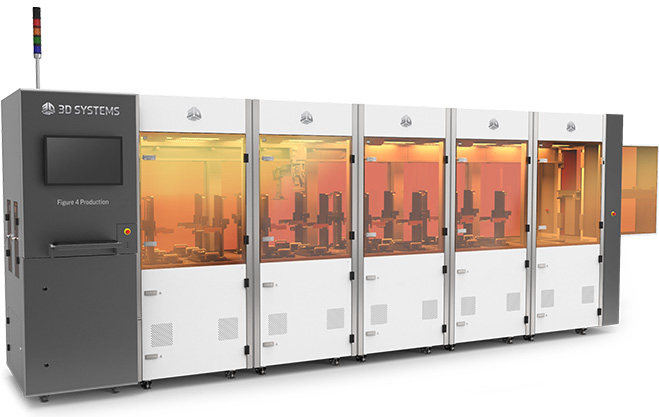 3D Systems delivers advanced additive manufacturing technology to bring you through prototyping to production. Experience Figure 4™ digital molding with six sigma repeatability, industrial-grade nylon SLS production, on demand manufacturing services, advanced metal laser beam melting, through to desktop industrial-grade 3D printing and the software that consistently enables success. 4D Technology in the East Building, Level 2, Surface Technology USA, Booth 122007, designs and manufactures surface gauges, surface roughness profilers polarization-based cameras and laser interferometers, for accurate measurement of precision surfaces, optics and optical systems. 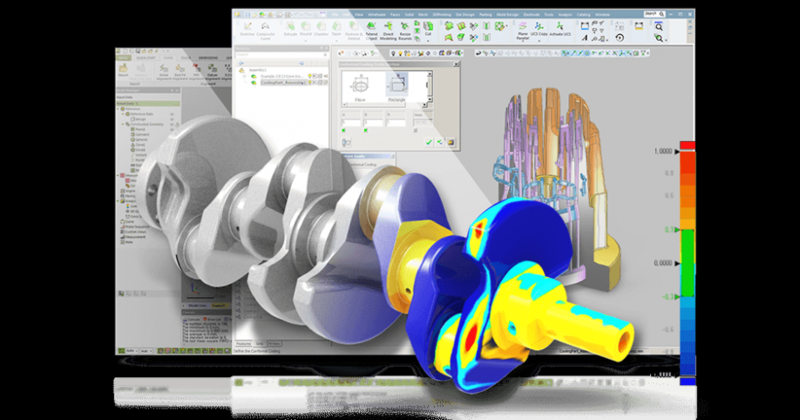 4D products use patented, state-of-the-art technology to bring high resolution measurement to production environments, even in the presence of severe vibration and turbulence. Check out the West Building, Level 3 and Annex, Tooling & Workholding Systems, booth 432167 for Micro 100, whose products are manufactured by exceptional machinists in the United States. Their tools are virtually unbreakable and are guaranteed to solve all interrupted cutting problems, including machine welds and flame cuts. Micro 100 uses a proprietary process that increases the toughness of quality micro grain carbide material without weakening carbide hardness. This is a huge advantage, which enables the production of superior quality tools with outstanding performance. 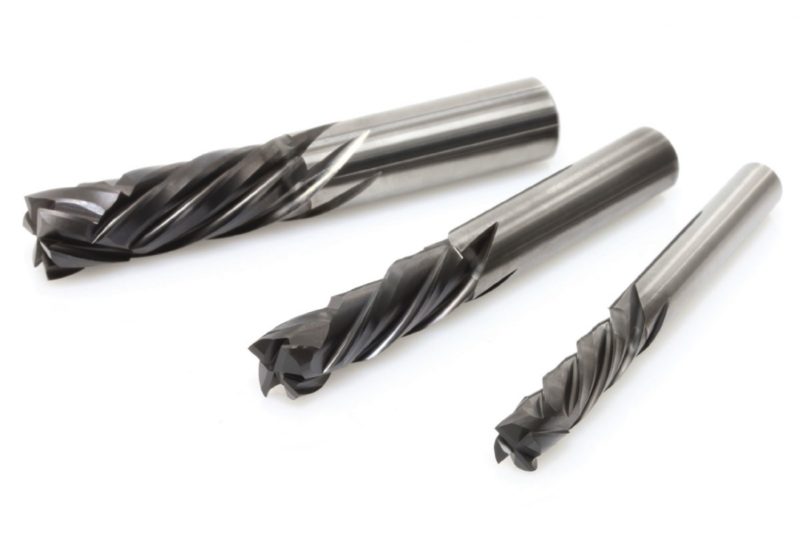 Micro 100 super carbide tools are suitable for machining all work-piece materials. Micro 100 achieves excellent results in tough and difficult to machine materials. 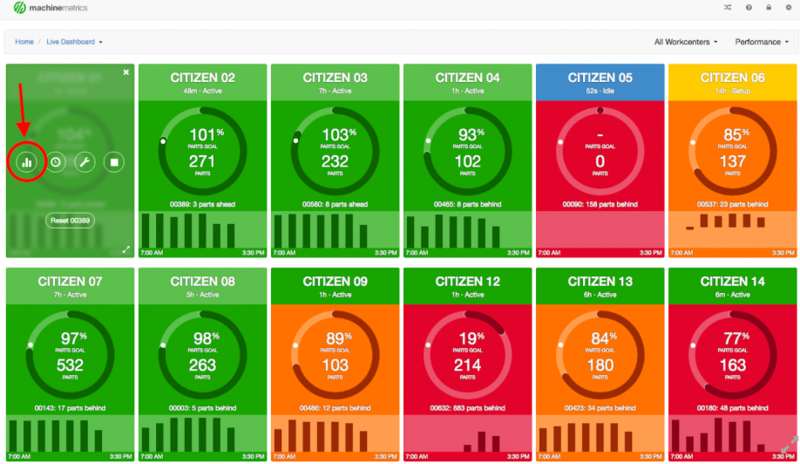 MachineMetrics is an award-winning manufacturing analytics platform. Their Industry 4.0-ready solutions work out-of-the-box to increase productivity through edge connectivity, real-time visibility, deep manufacturing analytics and AI driven predictive notifications. They’ve simplified industrial IoT to digitize your factory and enable your team to drive decisions with machine data. It allows you to know what goes on the shop floor in real-time. It gives you real information on how efficient your machines are. It even lets you know what the main sources of downtime and overall equipment efficiency are. Check out their software in the East Building, Level 3, Controls & CAD-Cam, Booth 133108. Created from cutting-edge robotics research at Johns Hopkins University, the focus of READY Robotics has always been on building things. Manufacturing is what they do. READY Robotics empowers manufacturers to be more competitive through their line of easy-to-use industrial robotic systems. Their robotic solutions require minimum installation downtime; no robotic experience necessary and no capital expenditure is needed. You can hire a robot and plug gaps in your workforce for a low monthly fee instead of a large upfront investment. 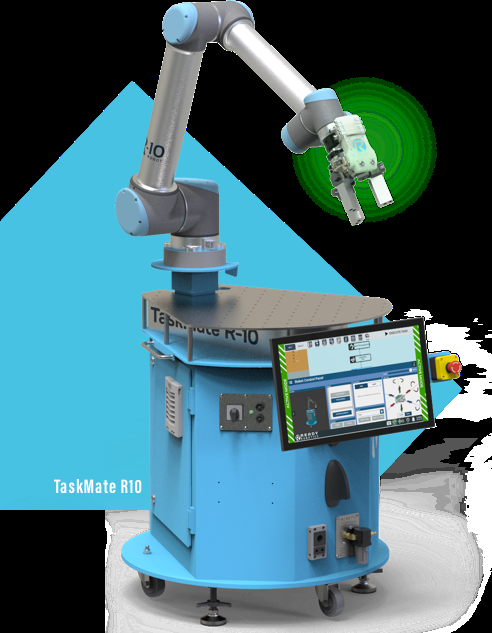 Get a TaskMate and produce around the clock while reducing your hourly operating cost. All hardware maintenance costs are covered by READY. You can have one of their robots in your facility in 30 days. Check them out in the North Building, Level 3, Mach Components, Booth 236882. Located in South Building, Level 3, Metal Cutting, Booth 339453, SORALUCE has 55 years of history in the machine tool market thanks to its future-oriented manufacturing technologies. SORALUCE is renowned for machines that are reliable, economical, long lasting and efficient. They have excellent product quality, outstanding service and state of the art advanced technology. SORALUCE offers a wide range of milling, boring, vertical turning machines, multitask and automation solutions. 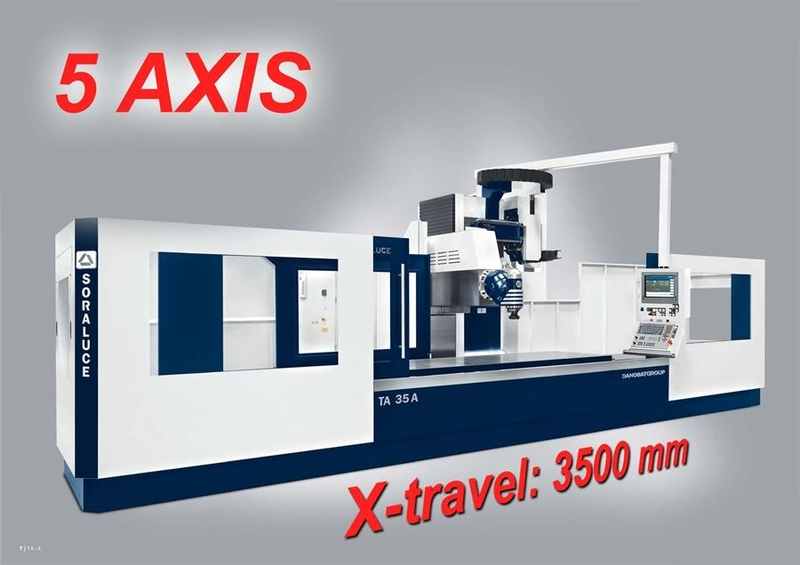 The company repeatedly presents new, intelligent solutions for the most demanding machining requirements of its customers and sets new standards for milling, boring and turning. 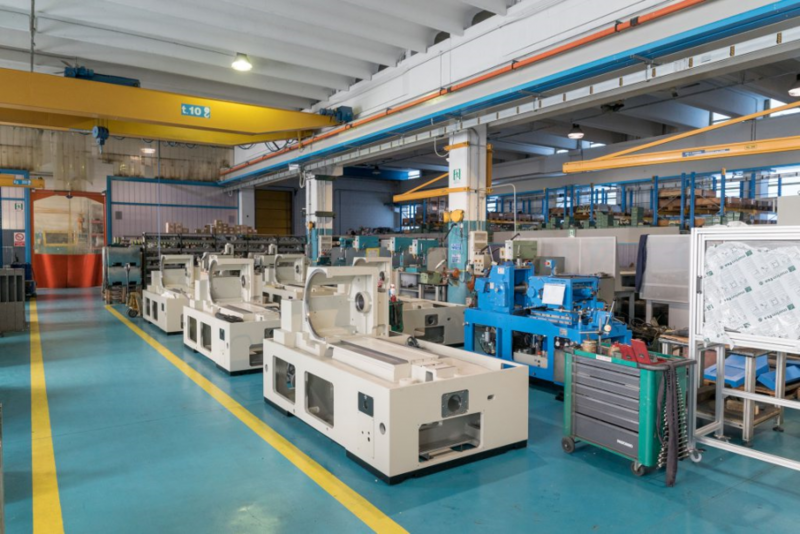 The Monzesi Group is a dynamic, privately held company which designs, builds, sells, and services world-class precision grinding machine tools around the globe. Their factory is located in Northern Italy near Milan, in Nova Milanese. Their North American headquarters is in Pine Brook, NJ to facilitate their continued growth in North America. Stop by the North Building, Level 3, Abrasive Machining, Booth 237345 and maybe you can win a trip to Italy. Obviously, I can’t cover 2,400 exhibitors, but this should give you an idea of what you can find at IMTS 2018. Attending IMTS 2018 can make the difference between your manufacturing operations thriving or stagnating. To crush the competition and succeed, you must keep up with technology and stay on top of your game.